The Jackson County, Ky. library teamed up last year with a Veterans Administration hospital and the People’s Rural Telephone Cooperative (PRTC) to bring telemedicine to its local veterans. The new service for veterans, dubbed the “Virtual Living Room,” means that local veterans can now head over to their county library to meet via broadband with their doctor, saving a day’s worth of travel. The library is wired by PRTC for gigabit internet, delivering speeds 100 times faster than traditional internet service. It’s unusual for the area, which is located in the heart of Appalachia, surrounded by mountains and woodlands. PRTC used a $20 million loan from the USDA Rural Utility Service, a $25 million grant and loan from the 2009 American Reinvestment and Recovery Act and $5 million in capital funding to spread 1,000 miles of fiber in Jackson and neighboring Owsley counties. The co-op serves more than 18,000 customers in those counties and is expanding into Clay and Lee counties. When veterans schedule appointments with the VA, an email is triggered to Jackson County Library Director Ashley Wagers. Library staff assist them with logging onto the computer and helping them with the camera. The veterans are then given privacy so they can speak with their doctor. “Reliable, affordable, high-speed internet service makes rural communities stronger by connecting them to distant cities, services and the rest of the world,” said Keith Gabbard, CEO of PRTC. The project got off the ground with a Smart Rural Community Grant from the Rural Broadband Association, headquartered in Arlington County, Va. The grant was used to create a comfortable, private area in space donated by the county library. “I love that this project was bringing together all of the best elements of Jackson County — a great communications company and team, government folks who were empowered to get something done and a local community that came to rally behind folks in their community who have served our country — and now don’t need to travel for hours to get some basic medical and mental health support,” said Shirley Bloomfield, chief executive officer of the Rural Broadband Association. 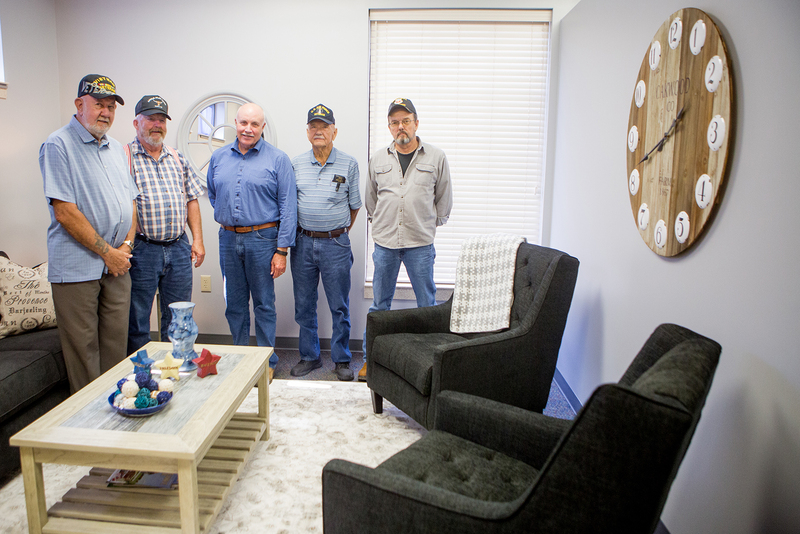 PRTC worked with the local Veterans Affairs Medical Center to connect them with the library and local veterans. “They came to us to share with us that they had the broadband and the support of the community — it was a win-win situation,” said Tuyen Tran, associate chief of staff at Lexington VA Medical Center. One of the barriers to care at the VA Medical Center is that so many veterans live in rural areas, he noted. “About 60-plus percent of our veterans live in rural areas and getting access to good quality healthcare is difficult.” Tran said the VA would like to replicate the program to help other rural veterans. Wagers said the library hopes to increase its work with the VA to get the word out to more veterans in the region about the service at their library.